A good high school curriculum is the foundation of a bright career. The International Baccalaureate study programme is one such system that is attracting thousands of students with the promise of holistic education. Q. I am planning to do M.Phil in commerce. Please tell me about the scope and names of some universities. A. MPhil is normally pursued by students who wish to take up research or academics as a career option. Most universities across the country offer this course, although the criteria and admission procedure varies from institution to institution. The main purpose of MPhil courses is to familiarise or train students for doing higher research. In fact, it is increasingly becoming a mandatory requirement for admission to PhD courses. In view of a possible economic slowdown, companies are realising that right-sizing is on cards and are resorting to outplacement, a smoother way of layoffs, says recruitment service provider GlobalHunt. IN a move to enable youngsters know about its role and functioning the Reserve Bank of India (RBI) conducts a major awareness and sensitisation exercise. This exercise, ‘RBI Young Scholars Award Scheme’ will expose youngsters to an actual banking and financial environment and inculcate a sense of pride in the selected ones of having had the opportunity to be associated with the prestigious organisation. With painting being her first love Jaspreet Kaur, a resident of Bathinda, was counseled to pursue a postgraduate degree in fine arts after she finished her graduation in humanities. Currently a student of Apeejay College of Fine Arts, Jalandhar, Jaspreet feels that she is finally on track to fulfilling her dream of becoming a painter. "As painting was my hobby I never considered studying it as a subject, but now after joining the postgraduate course I have realised the importance of formal training as this is a vast field and also I have realised that there are so many career opportunites in this field. Now I definitely want to make a career in this field." Great Lakes Institute of Management, with campuses in Chennai and Gurgaon has launched a two-year PG Diploma Programme in Management (PGDM). The programme, with its focus on emerging economies, offers a value proposition and is a first of its kind in India. Speaking on the occasion, Dr. Tapan Panda, Director, PGDM, Great Lakes Institute of Management said, "The programme, with its emerging economy centric curriculum, will have a term structure in sync with many international B-Schools. This will facilitate student and faculty exchange, semester abroad studies and globally oriented projects - thereby enriching student's quality of learning and exposure." E-tutorial market in India is growing at a compounded annual growth rate (CAGR) of over 40 per cent and is likely to cross Rs 3,500 crore mark by 2015 from the current level of Rs 1,200 crore. "E-tutorials is a niche sector that provides a whole new world of knowledge as there are various online learning programmes that complement every student's unique learning needs. Don’t neutralise your blessings by comparing these with others. Most of us ruin our entire life lusting for what we don’t have and what our neighbours, friends, colleagues and relatives do. Trust is the most important quality for a manager/boss or team leader as trusting your employees despite differences will encourage them to outperform themselves. It can certainly be a step towards the progress and prosperity of an organisation. While fair play holds the key to keeping an employee happy, there is so much more that the workforce looks for — feedback, training, active participation, having a say in matters, control and above all, trust and a feeling of being needed. Even though most companies realise this, there are still many who do not give these matters the attention that they deserve. International Baccalaureate study programmes seem to be the current rage in schools all across the country. These programmes are offered by the International Baccalaureate Organisation, which is a Geneva-based educational foundation. The International Baccalaureate (IB) Diploma - a demanding pre-university course of study in the last two years of high school - qualifies students for "credits" and advanced standing at several colleges and universities around the world. Not based on the requirements of any specific high school or country, the curriculum is an advanced international programme for "students of the world" who want a global perspective on people, cultures, history, and events while meeting the academic requirements of college-bound students. However, some educationists also feel that the IB is more humanities focused. While the students excel in language and literature, they face problems in coping with maths and science. In India, in the last couple of years, it has become "fashionable" to attend an IB programme. Given its substantially higher fees and the relatively fewer number of schools that offered the programme, the IB programme acquired aspirational value and became a "status symbol". For the rich, upwardly mobile Indians it became the "in thing" to send their kids to an IB school. Hordes of parents across the country sought to admit their kids into the IB programme with scant thought to its relevance in the Indian context, or the ability of schools to effectively deliver and teach the IB programme. Schools smelt the opportunity and sought to cash in on it. So all of a sudden schools calling themselves "world schools" and "international schools" sprouted in almost all parts of the country. Eager to satisfy the increasing demand, several elite schools also started offering the IB programme. So from a handful of schools 10 years ago that essentially catered to kids of diplomats and the expat community, you now have hundreds of schools offering the IB programme in India. However, offering the IB programme and delivering the programme are two very different things, as several parents and students discovered, much to their detriment. The rigorous IB curriculum is quite demanding on both teachers and students. Moreover, the approach to learning (and teaching) is dramatically different from the CBSE and CISCE system that our students and teachers are accustomed to up until Class X. It's not an easy curriculum to teach and demands great passion and creativity from teachers. They have to undergo special training to be IB-certified. Most schools simply send their existing senior teachers for training, who then in turn "train" other teachers in their respective schools. As with any education programme, it takes several years for the system to mature and capabilities to improve across the board. And by no means is it an easy transition for students. Students, have been used to rote-learning and formulaic memorisation, have to adapt to independent thinking and reasoning, analysing and critiquing, and research-based writing. Students who've gone through the programme claim they have to put in significantly more effort to maintain decent grades. Also, so far the academic achievement at majority of IB schools is by and large mediocre. The main reason for this is that most children at these IB schools left their previous school on account of poor academic performance. Add to this, the stress and pressure involved in needing to re-learn how to study, prepare and give exams. 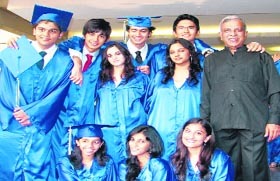 The good IB schools in India continue to be older established ones such as Kodaikanal lnternational School, American Embassy School, The International School, Bangalore, Canadian School of India, Bangalore, Mahindra United World College, Pune, Dhirubhai Ambani International School, Mumbai, Mercedes Benz International School, Pune. The IB is recognised by the AIU (you'll have to get an equivalence certificate from them to get a percentage equivalent) and several universities. So it's accepted for admission to Delhi University, JNU, etc, but since the exams are held in May, students are usually late for admission to Indian colleges. 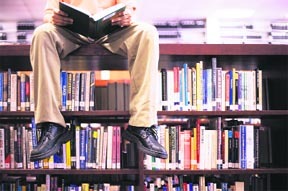 To further aggravate matters, the manner in which most Indian universities calculate percentage equivalent to IB grades leaves most students worse-off given the prevailing cut-throat admission cut-offs. The IB grade is converted to the mid-point of the indicated range. For example, where grade 6 is corresponding range is 89 to 95, the marks equivalent shall be taken as the midpoint which is 92.5. Similarly, for a grade of 5 where the range is 83 to 88, the equivalent is 85.5. Further, the varied subject choice of the IB doesn't help either, as Indian universities are quite rigid in the subject combinations they accept. Also, if you're looking to appear for competitive entrance exams for engineering or medicine, then the IB curriculum isn't of much help. You will still need to attend after school coaching classes for the exams that are based on the CBSE/CISCE syllabi. The IB's appeal and value continues to essentially be for students looking to go abroad for undergraduate studies. A good IB score may not only help in getting admission into good universities and colleges in the US and UK, it can also earn you credits that will exempt you from entry level courses - thereby saving you some time and money in completing your graduation! A. MPhil is normally pursued by students who wish to take up research or academics as a career option. Most universities across the country offer this course, although the criteria and admission procedure varies from institution to institution. The main purpose of MPhil courses is to familiarise or train students for doing higher research. In fact, it is increasingly becoming a mandatory requirement for admission to PhD courses. A master's degree in the relevant subject is a must for all universities. In most cases at least 50 per cent marks are required, while some others ask for 55 per cent. The duration of the course is usually one year, but in some universities it may extend up to two years. MPhil in commerce is offered by a very large number of universities - both through regular as well as distance learning. However, all MPhil programmes through distance learning are banned. Q. I've done my BA (Hon) in History. Although I'm not terribly good at drawing or painting, I am fascinated with art and have developed a good artistic sense. I try to pack in as many art shows and film screenings as I can. I'm also fond of writing. Could you suggest some course that would complement this aspect of my personality? A. There are a couple of courses you may find rather interesting. 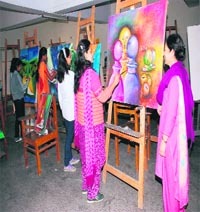 JNU's School of Arts and Aesthetics, New Delhi (www.jnu.ac.in) offers a unique MA in Arts and Aesthetics. Selection is on the basis of an entrance exam. You don't necessarily need an arts background to qualify. Eligibility is a bachelor's degree in any field and a basic appreciation of art. The course will expose you to various aspects of art (music, dance, drama, cinema), culture, civilisation, literature, history, religion, politics etc. Although you would be exposed to it, you will not be taught the technical aspects of Art. M Phil and PhD programmes are also offered in the subject. Similarly, the Faculty of Fine Arts, MS University of Baroda, Vadodra offers MFA (Art Criticism) which is open to graduates of any discipline. 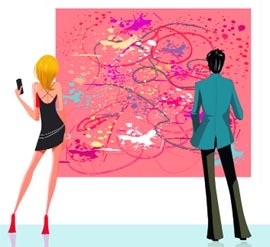 With new art galleries opening all the time and the print and electronic media featuring reviews and coverage of art shows, employment opportunities should not be a problem. Investing in art funds like Osian's, Yatra, Crayon Capital and Indian Fine Art Fund calls for the services of astute art appraisers and valuers to sift the good from the bad and pick pieces that have the best potential to appreciate. Art Fund Managers require this expertise in good measure to outperform other assets and book profits for the investors. And given the fact that Indian art constitutes only one per cent of the global market, as of now, the prospects are great. A course in Art History or Museology would also be an asset. This is a practice-based course in arts, design and communication which includes social science perspective. Studio based explorations form the central focus of the programme and will be conducted and facilitated by senior practitioners from the fields of art, design, film making, performing arts and related disciplines. Integrated with studio practice would be theoretical inputs from experts in the social sciences and humanities along with field studies and internship opportunities. The course has been developed for students with a background in art and design, and for mid-career artists and designers who seek a future as professional artists, advertising and media professionals, museum and art curators, designers, photographers, film makers and animators. Q. I have done my MD and am practicing in a government hospital. I am exploring courses in medico-legal systems other than LLB. Are there any such options in India, preferably short-term? six-month course for graduates in Law & Medicine (www.amity.edu). Q. I am interested in freelance writing. Can I make a career out of it? A. Writing is the art of converting thoughts into words, which in turn tell stories, inform and influence. To be a successful writer entails years of struggle, oodles of talent, and a consuming passion for the written word. Several young enthusiasts are now choosing to become freelance writers, while simultaneously having a 'normal' career on the side, because freelancing is a relatively safer way to attempt to get published and yet rake in the profits. If you love writing and want to make your voice heard, freelance writing might well be your cup of tea. Do remember though that freelance writing can be demanding, especially if you want to make a career out of it. You need to combine aspects of creative writing with essential journalistic traits, such as timeliness of a story, authentic sources and news value. Skills that need to be honed include a feeling for language and form, the ability to be self-critical, and an understanding of what good writing actually involves. This does not merely entail a spontaneous overflow of feelings, but the ability to discipline the work and give it structure. Since a freelance writer is not bound by organisational rules and regulations it sometimes becomes difficult to establish a routine. So make sure you maintain a degree of self-discipline and meet all deadlines and editorial requirements. You don't really need formal qualification to become a writer, but it sure helps to read widely and be clear about what you want to write and for whom you wish to write. Your success as a writer will ultimately boil down to your skill in communicating. A course in journalism does lend credibility, as journalism courses have modules on creative writing that teach development of characters, setting, plot and dialogue etc. Alternatively, there are a number of creative writing courses that enable writers to hone their skills and polish their language. Besides offering you a great deal of flexibility, freelancing can be very satisfying and profitable if you work at it systematically and with some degree of discipline. Read a lot - read varied stuff. Don't stick to your comfort zone. Read something that challenges you, and think about it. If you understand everything from the beginning, you're a passive consumer, which won't increase your range. "The concept of outplacements is taken up by most of the large global organisations as this is a smoother way of lay-offs. This is generally done when companies do not want to get into mass lay-off numbers or they do not want to be tagged for sacking," GlobalHunt Director Sunil Goel said. Though outplacements happen in every industry, it is more visible in banking, financial services and insurance (BFSI), telecom, engineering and Information Technology (IT) sectors, he said. With signs of impending slowdown, companies are adopting a cautious approach as they realise that right-sizing, cost structure and alignment are on the cards, Goel said. "Firms are helping to outplace those who are not required as per thin structure of the organisation so that there are smooth exits and employees get to explore opportunities available in the market with mindset to work harder and to sustain their jobs," he said. According to Goel, companies are also getting into outplacement as lay-offs negatively impacts their existing workforce. Earlier in mid-2008, outplacements took place across industries and at all levels, he added. 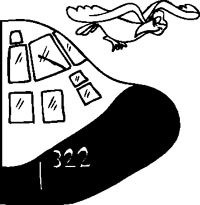 However, with the sudden fall in the market towards the end of 2008 and beginning of 2009, the concept fizzled out, Goel said. "In Q1 and Q2 of 2009, almost every company was in the process of alignment and right-sizing the structure. Many of the companies, even with outplacement policy, were not able to implement it and help the people because the economy was gloomy in India," he added. Outplacements help companies in creating a positive brand image and in future helps them in attracting talent pool. Companies in Europe and the US have mostly been adopting outplacements as a gesture of goodwill for their employees, Goel said. Educational qualification: All students across India who have completed Plus II or its equivalent from recognised institutions/boards in 2010 or before and are currently pursuing their undergraduate studies are eligible for the scheme. The students pursuing post graduate courses or those already having post graduate degrees are not eligible for this scheme. Candidates who have qualified and worked at RBI as a ‘Young Scholar’ in any of the previous years, too, are not eligible to apply again. Age: Candidates should be of 18 years or more but less than 23 years as on September 1, 2010. A maximum of 150 young scholars would be awarded scholarship by the RBI under the scheme. Out of these, a maximum of 50 candidates may be selected through a test conducted in English medium. The rest, up to a maximum number of 100, will be selected on regional basis through a test conducted in vernacular medium. The entrance exam will be conducted in English, Hindi and 11 other regional languages. The regional languages will be Assamese, Bengali, Gujarati, Kannada, Malayalam, Marathi, Oriya, Punjabi, Tamil, Telugu and Urdu. The exam will be held at around 100 different locations spread all across the country. The examination will be of objective type questions with multiple choices for answers. The paper will be of approximately 90-minute duration and will have questions related to the role and functioning of the RBI, the trend of banking industry in India and general economic and financial environment of the country. The selected All-India and regional candidates will be placed at the nearest Regional Office designated for the purpose, depending on the size of the office. The selected candidates will be required to work within the RBI on projects/assignments allocated to them by the respective Regional Director of RBI. They will be expected to complete the same in a reasonable time, subject to a maximum of three calendar months. During their stint with the RBI, they will be paid monthly stipend of Rs 7,500 per head. Candidates willing to apply for the scholarship may apply on the prescribed application form available on http://www.rbi.org.in/youngscholars.aspx either on line or offline. There is no fee for application or examination. Jaspreet is just one example of many aspirants in the field of fine arts in today's globalised world. Fine arts has become a popular career options these days. It broadly refers to the study of various form of art like painting, sculpting, visual communication, designing etc. It is a tool for expressing and visualising innermost feelings. "Teaching is also a good career option as the number of schools and colleges where this subject is taught is on the rise", adds Rimpy. The growing popularity of fine arts has created employment avenues for artists in many areas like painting, sculpting, designing etc. Moreover, the opening up of more and more art galleries and art exhibitions in the country has also led to enormous opportunities in this field. The annual India Art Fair which is being organised in Delhi for the past three years attracts more than one lakh visitors. This clearly reflects the growing awareness about art and artists in the country. "Fine arts covers a wide range of subjects and gives one an opportunity to select one's area of interest to give an adequate expression to one’s creativity", says Chandigarh based Dilveen Singh Aulakh, who is currently pursuing bachelor of Fine Arts in Delhi College of Art. Dilveen is aspiring to be a game designer or graphic designer. There are several courses available in fine arts. Degree, diploma and certificate courses are being offered by various well-known universities and private institutes in India. Bachelor of Fine Arts, which is popularly known as BFA is a four-year course. To apply for a BFA course, one must have cleared Plus II examination. The two-year Masters of Fine Arts course can be pursued by those having BFA degree. In addition to these courses, there are diploma and certificate courses are being offered by several institutions across the country. Unlike other fields, remuneration for fine arts professionals varies depending on the nature of the job. Professionals joining media houses, advertising agencies and textile industries as freshers normally get a salary of Rs 10,000-15,000 per month. With exposure and experience the figure goes up. But one should not be concerned about salary package at the initial level. One's interest, hardwork and creativity play a pivotal role in the long run. "Professionals should pay attention to enhancing their skill set at the beginning of their careers as sky is the limit as far as remuneration is concerned for experienced artists. This field is considered to be among the highly remunerative fields," says Rimpy Agarwal. With the BRICS economies growing at anything between 6 percent - 9 percent and collectively set to overtake the US GDP in the next 3-4 years, the understanding of emerging markets takes on high significance - a need the program aims to fulfill. The programme, which is set to start in July 2012, will have one intake and will admit 120 students every year. The programme, which will admit both fresh college graduates and professionals with up to 24 months work experience, will be offered with six specialisations including Marketing, Finance, Operations, Strategy-OB-HR, IT & Systems and International Business. It will also span across several industry verticals with a special thrust on entrepreneurship. Upon course completion, students can expect to work in companies with transnational operations that require trained and qualified talent to handle businesses in geographies within and outside India with knowledge of local nuances. The institute is also poised to start the Executive Fellowship program in early 2012, which can be used as a platform to undertake research in the field once students complete the course. What are major courses offered by Surya World? We offer an integrated curriculum that is designed towards delivering quality tertiary education in engineering and technology, pharmacy, architecture, hotel management and catering technology, business management and computer applications. Other courses offered are M.Tech, PGDCA and undergraduate courses like BBA, BCA, B.Sc. and B.Com. How will your recent partnership with Pearson help students? Surya World has made a tie up with Pearson, a renowned international education content provider, as knowledge partner. Pearson will be develop content in technology streams like B.Tech/ M.Tech and MCA as per the ABET (Accreditation Board for Engineering and Technology) and for business management as per the AACSB (Association of Advanced Collegiate Schools of Business). The ABET and AACSB are two quality standards prevailing in the US and Europe and are considered prestigious across the world. Subsequently they will develop faculty guides and also train our teachers on world class teaching methodology. So students will get international quality education through this tie up. What is education group's mission in imparting education? The mission of Surya World is to build a world class group of institutes to promote teaching and research by providing quality faculty. Providing integrated curriculum aligned to contemporary industry trends to remain at the forefront of education is another mission. Regular interface with distinguished professionals from the industry and academia and creating an environment conducive to high-quality education and research, associating with reputed institutes of higher learning to ensure contemporary content and best practices in education, providing world class infrastructure and facilities to enhance the educational experience and empowering students to emerge as successful professionals and entrepreneurs through extensive training and mentoring are our major goals. What facilities set the Surya World apart from other institutes? What are the future plans of Surya Group? "E-tutorials is a niche sector that provides a whole new world of knowledge as there are various online learning programmes that complement every student's unique learning needs. 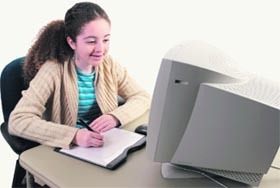 With greater internet penetration and availability of top-notch broadband services the online tuition market in India is getting popular among students as there is a huge price difference between private tuitions at various coaching centres and online tutoring and this is a significant reason as to why more and more school, college going students are now getting enrolled for online classes providing them practical insights and individual attention in the comforts of their home at a time convenient to them, according to a study on 'E-tutorial market-parallel education industry'. There are plenty of institutes in metro cities offering online learning programmes for core subjects like maths, physics, chemistry, biology, english, economics and accountancy through an excellent team of professional, experienced and highly qualified tutors. Even after having so many beautiful wives, Ravana found Sita so attractive so as to abduct her. Similarly, Duryodhana, even after having the better half of the kingdom, was jealous of the Pandavas. Narada started comparing himself to Shiva — the conqueror of desires — when Indra’s apsara failed to seduce Narada. But he found himself in a quandary when he met Shrimati, the daughter of King Sheelanidhi, fell in love and wanted to marry her. Later, thinking that he was Vishnu’s greatest devotee, Narada approached the Lord for his opinion. 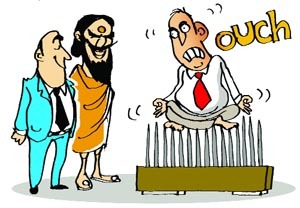 Vishnu proved to him that a simple farmer on Earth, and not he, occupied the coveted position. Dronacharya wanted someone to avenge his insult at the hands of his schoolmate King Drupad. When Arjuna promised to do so, Drona vowed to make him the best bowman in the world. This kick started a race between Arjuna on one side and Ashwathama, Karna and Eklavya on the other. King Dashrath of Ayodhya took extra care of his second wife Kaikeyi for two reasons. First, she had once saved him during a battle against Shambarasura. Secondly, he wanted that she shouldn’t hinder the coronation of Rama as Dashrath had promised Kaikeyi’s father Ashwapathi that his grandson Bharat would ascend the throne after him. This extra attention by the king and the resultant extra expenditure on Kaikeyi’s palace made Dashrath’s first wife Kaushalya jealous. This soured relations between the women and Manthara used it well to get Rama banished for 14 years. In contrast, the immensely beautiful and highly talented daughter of King Asvapati of Madra, Savitri, avoided the beaten path. She could have married any prince in any kingdom, but she chose Satyavan, son of exiled king Dyumatsena of Salva, as she had fallen in love with him on first sight. Like most parents whose children are in their late teens, Kishan Singh and Vidyavati wanted their son Bhagat to get married. They sent him two letters on the subject, but the lad ran away to Kanpur and joined patriot Ganesh Shankar Vidyarthi’s printing press. “As long as my nation remains enslaved, the only bride I will embrace is death,” Bhagat Singh said to his mate Sukhdev. Later, Bhagat’s father acceded to his request and never again forced him to marry. The grass on the other side of the fence looks greener as you have turned green with envy. Studies have shown that employees who feel good about their jobs are likely to work harder than those who are unhappy. It is human nature to resist when they are told to do something. Everyone prefers to do things in his own way. And the boss who trusts his workforce is the one who really gets work done in a much better and efficient manner than the one who does’nt believe and trust his workforce. It has been observed that a majority of workers get agitated the moment they are given orders by the boss. A competent manager has the knack of giving orders in a befitting manner. Instead of asking a particular worker to do a job in a particular way, he rather politely tells an employee how he finds him competent to do the job that is being assigned to him. His own competence lies in how he boosts the morale of the employee concerned. In a way this shows the trust the boss has in his worker. 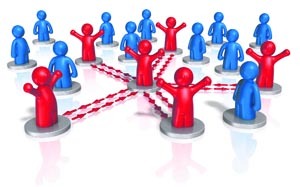 Competent HR managers know how to delegate responsibility of the work assigned to a worker. 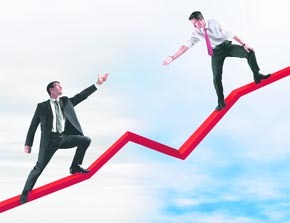 A genuine sense of responsibility further boosts the morale of the worker in question. This method gets the things done more effectively and efficiently. When it becomes a question of prestige with the associate, he leaves no stone unturned to show his value and worth. That really shows how efficient the HR manager himself is. One must not interrupt an employee if he is telling how he can do a particular job. He should rather be given a patient hearing. A skillful manager is interested in the net result and not in the methods that his subordinate applies while performing his duties. Instead of finding flaws, if any, an efficient manager praises the plus points of the worker to whom a job has been assigned. Instead of penalising his employee for shortcomings, he rather rewards that particular worker for his outstanding achievement. With him the mantra is "you win" and not "I win". But in his heart of hearts he knows that the victory is ultimately his own. He is of the opinion that the credit of victory always goes to the captain first and to the team afterwards. Every employee, howsoever competent, looks for praise from the boss. The boss who is lavish in fault finding but miserly in praising is often disliked by the workforce. Research has authentic evidence to prove that such managers widen the differences (which almost all employees have on account of their different set of values) instead of bridging them. Research in organisational psychology has revealed that unless a manager has a shared value system, differences become negative. Some bosses intentionally indulge in cloning. It gives them a false sense of security. They think that if their workers think like them, then they are being validated as good leaders. But what they forget to realise is that they are actually ruining the hidden potential which each and every employee has. Instead of doubting the integrity of their workforce, they must develop a sense of trust among the workforce. The corner stone of all this lies in creating a sense of trust not only among one's workforce but also in one's own self. Therein lay the jewel of real managerial success.